Since 1972, Spectrodata Communications Inc. has successfully provided superior Audio Visual Integrations and Solutions to the Greater Toronto Area. Our dedication to meeting and exceeding our clients audio visual needs and expectations has allowed for steady growth. We have a wide range of products and services making us a one-stop audio visual facility. The Company was first founded in 1972 by Gord Leaver. Today, the company is run by Gord's two sons, Mike and Doug Leaver. Mike handles the Sales side of the business while Doug handles the Operations and integrations side. Mike and Doug have been a key and integral part in keeping the Company in line with the ever changing Audio Visual world market. Together, the Leaver brothers have several years of industry experience, including the design and implementation of audiovisual presentation systems for top educational institutions and Fortune 500 corporate boardrooms. They are experienced with Crestron Control Systems, including being certified in the programming of these systems. They have extensive knowledge of multimedia projectors and specifically, the installation of projectors, various control systems, plasma and LCD screens, digital signage, and electronic classrooms and boardrooms. 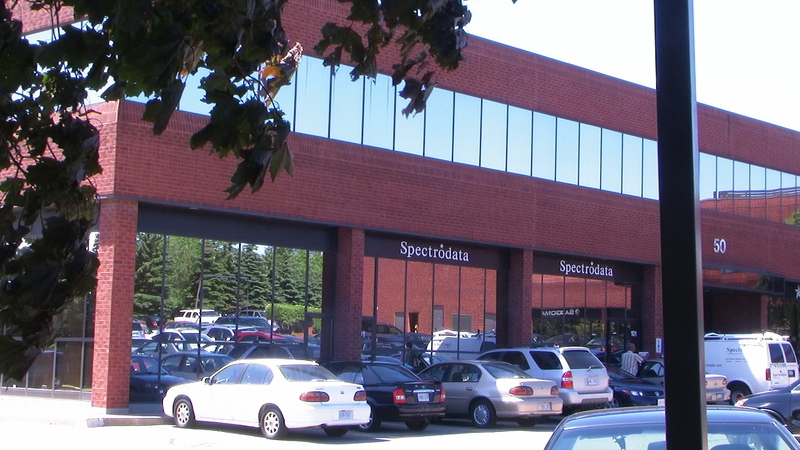 Spectrodata's head office is conveniently located in Markham, Ontario. Our company and its employees are committed to supplying the most innovative audio visual presentation solutions and services available today. When it comes to Discussion Panels, Special Events, Corporate Functions or Electrionic Classrooms let Spectrodata Communications Inc. bring you to new heights of excellence. We take the utmost pride in offering you experienced personnel and the latest professional products to ensure your presention has impeccable sound with crisp, clear, bright images.